“I grew up as an only child, with a single mother. Because we were poor and because I knew my father had emigrated from Syria, I imagined he looked like Omar Sharif. I hoped he would be rich and kind and would come into our lives (and our not yet furnished apartment) and help us. Later, after I’d met my father, I tried to believe he’d changed his number and left no forwarding address because he was an idealistic revolutionary, plotting a new world for the Arab people. So today, I looked up the exact date. It struck me as interesting that last Friday was when I had my little meltdown of feeling completely rejected again and not worth much, and not this and not that, etc., etc., letting everything get to me. Tonight, I reread one of my statuses from that day, out of curiosity; one status read that I was tired of the rejection and broken-heart times, and was ready to go solo again, to escape it basically, by choosing to be alone. I actually feel better now, knowing there was indeed a reason for feeling such deep despair. That kind of “down” only happens once in a blue moon, thank God. We’re all so complicated, aren’t we? Different things affect us, and sometimes we don’t even know why. But He does, and there’s comfort and strength just in knowing that. No, I am not rejected. And I am worth everything to Him. And so are you. I just wanted to share this in case you’ve felt the same thing recently. And to remind you, like I had to remind myself, that feelings have a habit of lying, of clouding the truth. The Truth is what He says about us. And, at the core of everything, that’s all that really should matter — what your Creator thinks and knows about you. Lately, I’ve been feeling like just another pumpkin, nothing special, just another one of many sitting in the middle of wherever, not going anywhere, not noticed, not chosen, just blending in, just sitting, like one of all the others in the middle of a big ol’ pumpkin patch. That’s how I feel. But, as I’ve said in another blog or two, feelings lie. They’re not dependable. Truth doesn’t depend on feelings. And now I have to go back and reread those posts to remind myself. Better still, I need to go back and reread what God says about me — and you — in His Word, through Scripture. We have potential in us that could change the world around us for the better, through a kind word, a work of art, a political speech, an invention, a helping hand, a discovery, a generous donation, a billion types of acts of kindness. The domino effect. That’s what’s in us. We’re imperfect human beings with a perfect God, and when we meet up with our Great Creator — this side of Heaven — anything good is possible. But getting from potential and what’s possible to reality, well… Some days it feels like a ton of concrete blocks, one hundred blocks thick in each direction — and no amount of praying, no amount of effort, no amount of action or declarations or even yelling and fighting back seems to help. Seems to. I think “seems to” goes along with “feelings.” When negative feelings seem to envelope you like a thick, heavy coat, you don’t seem to have the energy to pray, to fight back, to do what’s necessary to be free from whatever’s toxic in your life. But maybe every single thing you do — prayer, action — wears away that heaviness like a stone is made smooth over time by water. Or maybe it’s during those times that we just need to rest for a while, and let Him do the fighting for us. Maybe we can’t see what’s going on with our physical eyes. Maybe there’s a battle so fierce in the unseen world that God has us placed, for a certain amount of time, out of harm’s way — or, if we’re already harmed, away for healing. That might be the reason. Or a combination. Maybe, maybe not. What seems like endless days of just time going on without us may in fact be the season He’s working the hardest on our behalf. I’d like to experience that fully carved stage, where I can look out with His light, and see His goodness in tangible ways. I believe that day is coming… For you too… Pretty soon, we’ll all be glowing like little Jack o’lanterns. I saw my first peanut pumpkin today. On my walk, I ventured past a local church selling organic pumpkins, all kinds and all shapes and sizes, along with different kinds of gourds. Most were traditional orange, and a few were pale white. 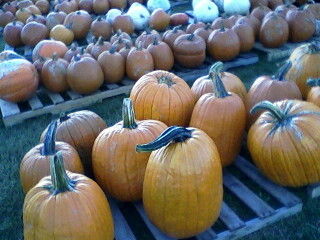 But the ones that interested me the most were the peanut pumpkins. I remember seeing them in drawings from some children’s book a long time ago, but didn’t even know they really existed. Maybe that sounds ignorant to admit, but it’s true. I didn’t know peanut pumpkins existed. 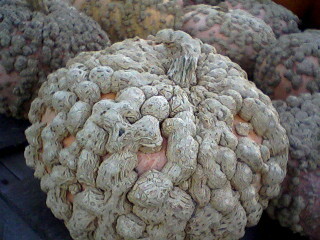 I found out they originally came from France and that what looks like peanuts to some, looks like warts to others. You either see this type as either ugly or beautiful, I was told. I find them strikingly beautiful. I don’t think there are many things on this earth that are ugly. Ugly actions, ugly intentions, but not ugly on the outside. Once in a while you have to look closely, but the beauty is there. Kind of like Beast in “Beauty and the Beast.” His beauty was there all along; he just needed someone to see that part of him. So the next time you start to judge somebody or something based on the outside, look again. Use your heart along with your eyes. And you might just be wonderfully surprised by what you discover. 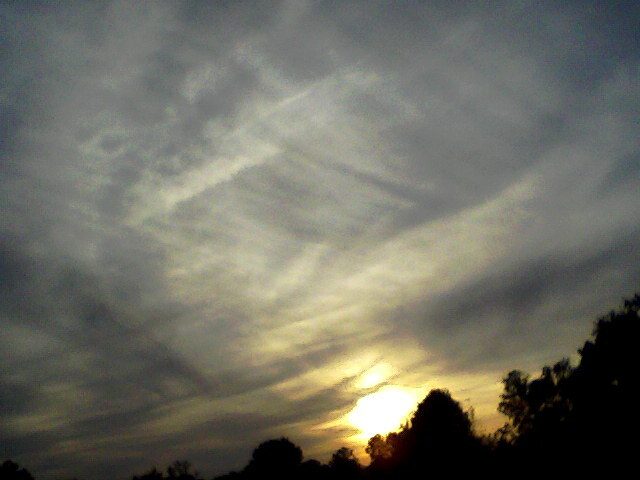 I took this picture at dusk, a few hours ago. 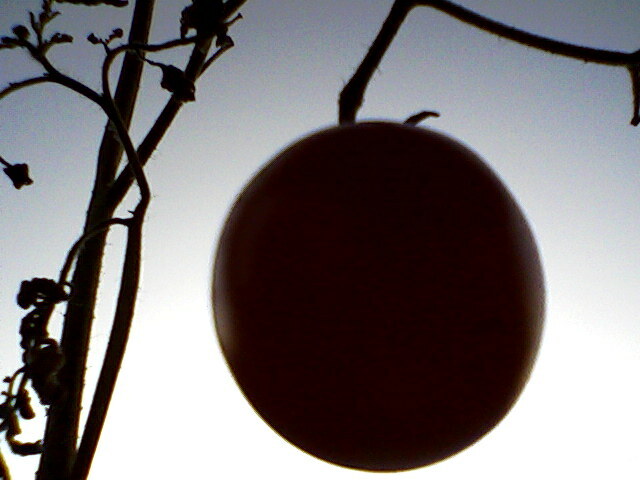 It’s the silhouette of a lone cherry tomato. All summer long, we had quite a few regular tomatoes, but no cherry tomatoes. Our cherry-tomato plant produced no fruit. Finally, one little green tomato formed. And it stayed green. It waited ’til October to turn red. Kind of odd, isn’t it? But there it is. Being a tomato, out of season. No matter when we arrive on the scene, whatever scene that is, I hope we all stay true to who we are, no matter if there’s not another one like us around, and create striking silhouettes. I suppose, though, it could be a little lonely showing up when all the other tomatoes are gone or almost all gone. And when the summer plants are fading and the leaves are dying and falling. But your beauty might be exactly what’s needed right now. Maybe it’s the beauty of speaking a life-giving word to someone who needs reassurance that life will get better, or holding the hand of someone who’s dying here as they take God’s hand there. Or maybe it’s the gift of giving a rude person grace, knowing they might just be covering up some kind of deep wounds. It could even be “just” saying hello to someone as you push your cart in the grocery store. An out-of-season gift that’s perfect in every season. 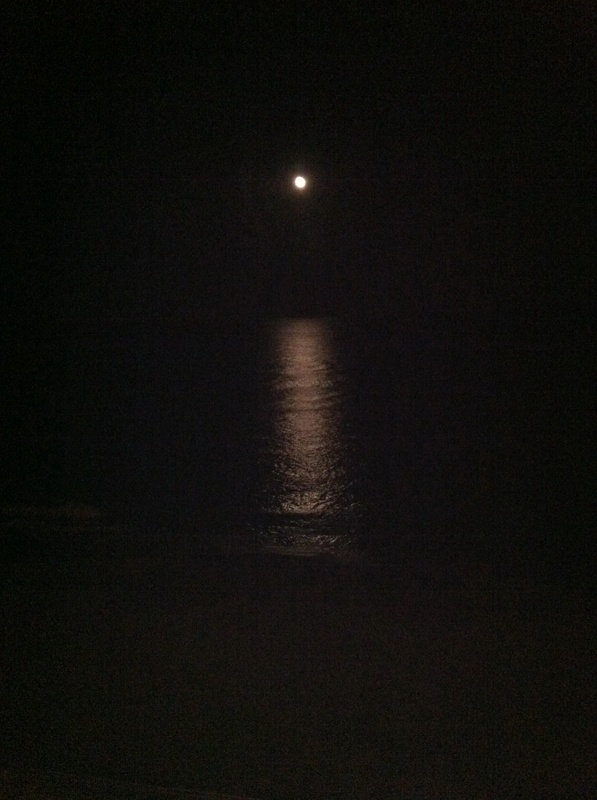 Soul balm. Now go be like a beautiful sole cherry tomato in October.